Virtual farming is the newest obsession with millennial kids. It has become a sort of a guilty pleasure and without any regrets, kids play such games for hours. Farm games are guaranteed to keep you entertained for hours, and that is probably why cannot resist any game which falls under this category. However much hard and technical it may sound, such games have very simple mechanics and are extremely user-friendly. All this madness started when Zynga introduced ‘Farmville’. It was undeniably a revolution, and people went crazy behind it. In no time our feeds were full of posts regarding this game, and from there, its reach kept on increasing. People played that game like they were being paid to do so. Farming games on Android and iOS are not any different and do not require you to leave the comfort of your bed or couch. So without much delay, here are our top 10 farm games for you guys to try out. The game actively involves you to develop a farm where you can grow trees, take care of plants and animals, and even mine. With each new level, new animals or plant species are unlocked. The game has a store for you to buy new vegetable seeds, products for the development of your farm and even devices for the farm. 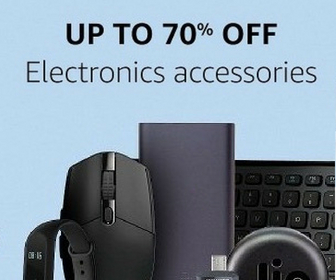 You will also be provided with a tiny barn, wherein you can store your goods and devices. With each new level, you will get an option to increase the size of your farm. 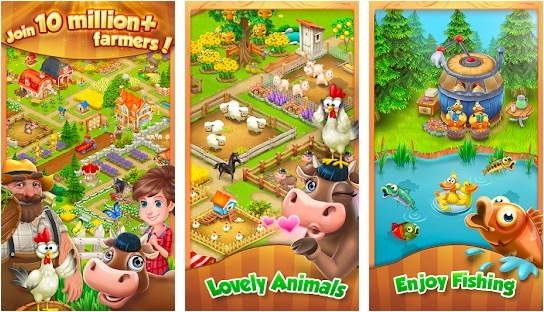 It is a very pleasant farm game to play and has surprisingly stunning graphics and user interface. Township is an excellent game with a very simple and smart interface. It has got some really cool graphics which have really impressed the users. It is a unique blend of city building and farming. Various tasks and duties make the game process even more interesting. Open restaurants, cinemas, and other community buildings to add that extra spark to your town. Township id free to play, though some inbuilt items could be bought with money. What is more is that you can play with your Facebook friends or make new friends in the game community. 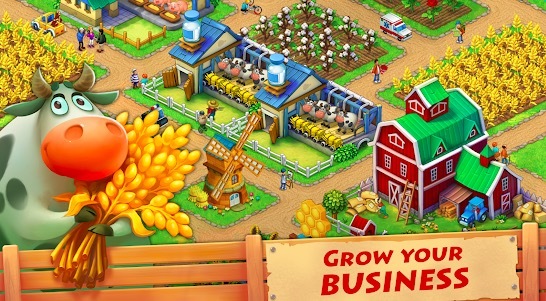 In this farm game, you are provided with an entire island where you have to build a business with the help of farming. With amazing graphics and a simple user interface, this game comes under the best farm simulation games of all time. The main reason behind the popularity of this game is that it is visually so appealing that it is difficult to take our eyes off it. It is just simply gorgeous! Bright colors, lovely, hand-drawn houses, and characters, beautiful ocean waters- everything at its best. 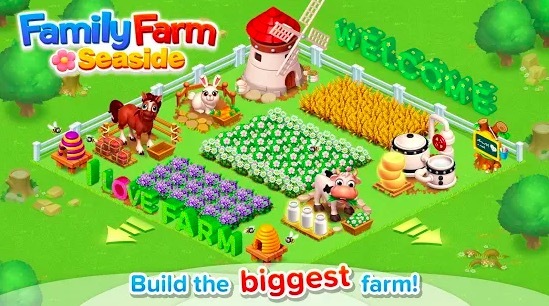 Family Farm is another one such game wherein users will have to build their own version of an ideal farm. It is one of the highly rated farm games and one of the best simulation games of all time. Create your own unique farm and compete with your friends to be the best farmer of all time. With a bunch of tasks to complete, you will never be bored with this game. This game is completely free to download and play. However, some items have to purchased using real money, and you will have to disable the ‘in-app purchases’ feature in your device’s setting. This amazing new farm simulator is now available on your smartphone. 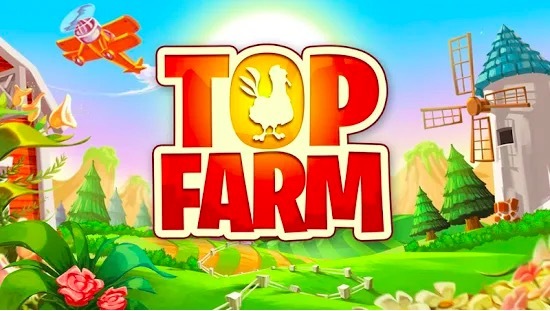 Top Farm game will help you to gain experience in developing your own farm. Work on the ground is one of the most important tasks. And the virtual experience that one gets with this new game will never be unnecessary. One will have the exclusive chance to create a farm of one’s dream, eco-friendly and modern. Naturally, you have to complete a number of tasks, always prioritizing what to do first. In this game, you will make new friends, exciting surprises, and also adventures. 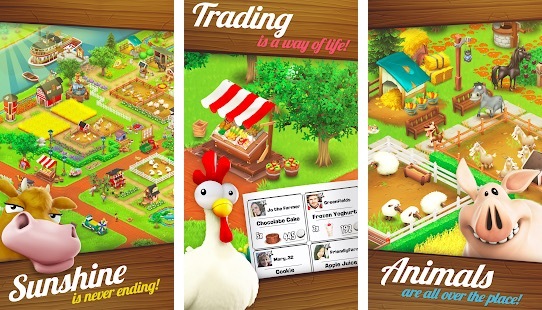 Idle Farming Empire is a typical farm game for iPhone and Android devices. This game doesn’t involve much complexity and only requires the player to indulge in farming. So you only have to plant and grow. The project has good visuals and designs. The designs of plants, characters, and animals are very cute and exciting to look at. Audios are hilarious. There are no issues regarding the interface and management. It is one of the highly rated farm games and one of the best simulation games of all time. The game has so many features like automate your farm, crop collection, and animals. You can power up the sin and make it rain on your farm. The also can be played offline in case you do not have an internet connection at a time. 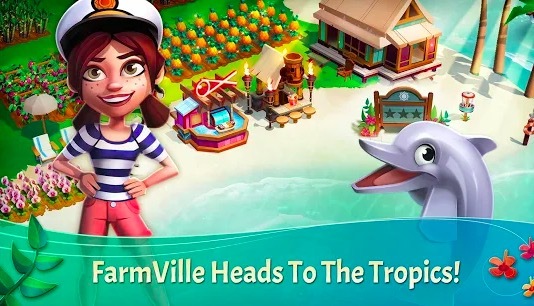 FarmVille: Harvest Swap is a unique combination of puzzle and farm. The visuals and design are beautiful and give only positive and happy vibes. The animation is very smooth and the elements of the game are full of color. 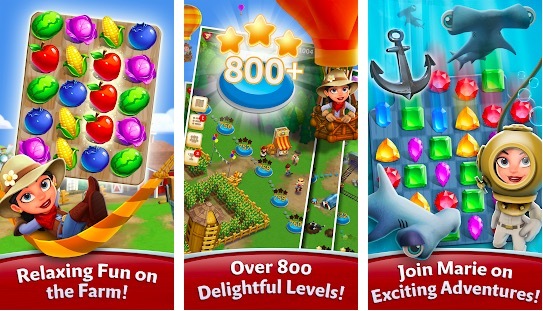 The wild mix of “farm” and “three in a row” keeps every player entertained. The gamer will have to play with other gamers, develop a farm with them, and much more. There are 800+ levels and a charming story. 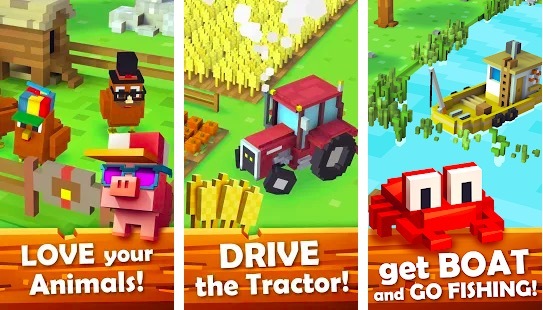 This is also a unique farm game available for both Android and iOS. As the name says, it comes with offline play. The game felt much like FarmVille. You have to dig up ground, plant crops, have animals, harvest their milk and effects and more. You can also customize your farm, and sell your stuff for a profit. The game has good graphics to offer you a good gaming experience. This farming simulator is also a good one for those looking for farm game. Blocky Farm is another good farm game and it comes with Minecraft style graphics. So, you will feel like playing an arcade game. 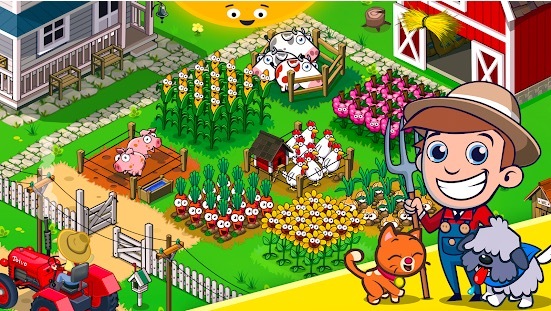 The game offers classic mechanics like farming crops, pets, and options to customize elements. You can also drive vehicles and carry your crops. The game also includes fishing, pets, a changing weather system, and offline gameplay support. The game has simple graphics, but few may not like it for its arcade feeling. Still, you can try it. Let’s Farm is another good but simple farm game you can try on both Android and iOS. 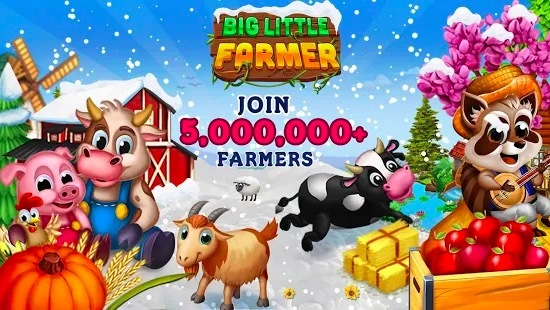 The game already has 10 million virtual farmers enjoying the game. You can plant fresh crops, cook food, feed your pets, greet your neighbors and more. There are some challenging missions to finish. You can also trade with other farmers. If you are looking for good farm games, don’t forget to try this one as well. Now you have a list of best farming games for Android and iOS. All the above-mentioned farm games are worth one shot, and we recommend that you should at least try half of them. It won’t be a waste of time for sure. Also, do not forget to share your favorite farm games with us using the comment sections. If you also know some other good farm games, you should share the name with us and we will surely test them for sure.